Limit switch to reduce travel time and increase production. 1) Engraving and marking on anodized Aluminium labels, Stainless Steel, Bakelite, Acrylic materials majorly used for description purpose Widely used In industries like Control panel, Transformers, Generator and many more. 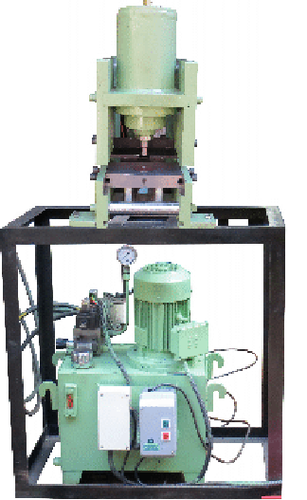 2) Hydraulic machinery division is a very niche category where we are OEM of Hydraulic Bending ,Hydraulic Cutting , Hydraulic Punching machine Majorly used in control panel industry , Transformer, Generator manufacturing companies. These product is basically used to enhance productivity. 3) Acrylic Signage and Display solution is basically a 100% customized product that we provide to our client which includes all kind of indoor and outdoor signage. These includes products as Acrylic box letter, Channel Letter, Clipons, customized Acrylic moulded materials to fulfil their dynamic needs.Aided by highly experienced team and infrastructure facility we have been successfully catering the growing needs of our clients without compromising over the quality standards with various parameters across the country. With this kind of diversity we become a one stop solution provider to our clients for all the industrial as well as corporate signage requirementsWith the sincere experience of more then 35 years in Manufacturing Industry, Under the leadership of Mr Amrish R. Shah the company is growing leaps and bounds and we have been able to gain the trust of our clients. We believe in following best practices and 100% client satisfaction.